An American healthcare organization with $4 billion in revenue was riddled with inconsistencies and repetitiveness in its HR department. Inefficiency hampered the organization’s 8 disparate HR operations. 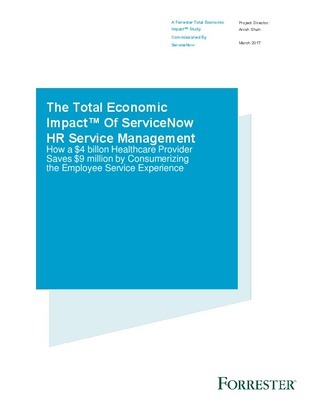 The healthcare company turned to ServiceNow HR Service Management to provide 24/7 HR services with automated processes and a user-friendly employee service portal.